Hakeem Nicks‘ time with the Saints has already come to an end. On Monday morning, coach Sean Payton told reporters that Nicks has been released (Twitter link via Josh Katzenstein of The Times-Picayune). New Orleans signed Nicks less than two weeks ago. Nicks, still only 28, spent the first five years of his career in New York with the Giants, enjoying the most productive stint of his career with the team. Posting consecutive seasons of 75+ receptions and 1,000+ receiving yards in 2010 and 2011, Nicks totaled 311 catches, 4,622 yards, and 27 TDs from 2009 to 2013. The Saints were the fourth NFL stop for the 28-year-old Nicks, who signed contracts with the Colts and Titans between his two Giants stints. 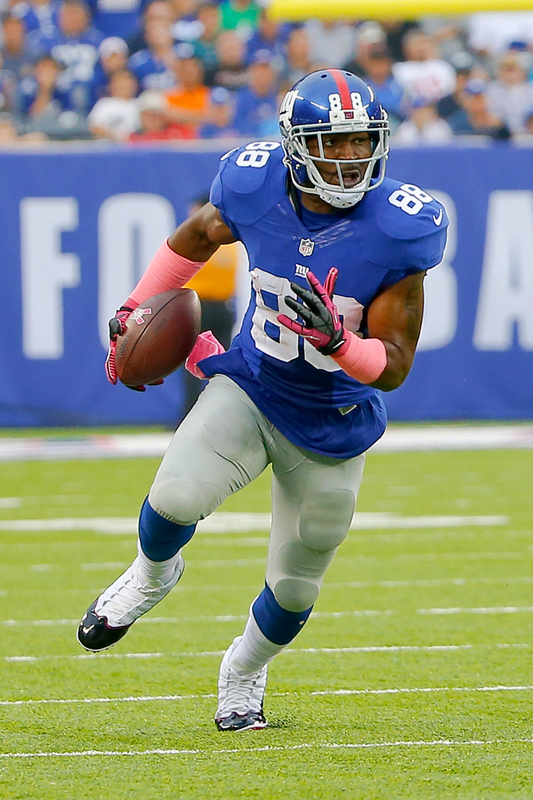 With the Colts in 2014, Nicks registered 38 receptions and four TDs. He was briefly a member of the Titans, but he did not crack their roster. All told, the 6-foot-1, 208-pounder has 92 appearances (67 starts), 356 grabs, 14.3 yards per catch, and 31 TDs on his stat sheet. For New Orleans, the addition of Nicks came just one day after the team placed fellow wideout Vincent Brown on season-ending IR. Nicks was fighting for space in a crowded receiving corps that already includes Brandin Cooks, Willie Snead, second-round pick Michael Thomas, Brandon Coleman, Reggie Bell, and Kyle Prater, as Roster Resource shows. Now, he’ll look for employment elsewhere. The Falcons and Saints have each added former Cardinals edge rushers over the past 24 hours, as Atlanta agreed to terms with Dwight Freeney while New Orleans inked Matt Shaughnessy. Both defenses were among the worst in the league at generating pressure last season, and the Falcons and Saints will hope that their new additions will help them get after opposing quarterbacks. For more on the Falcons, check back in with PFR later tonight for a recap of the Freeney signing and the rest of Atlanta’s moves in our latest Offseason in Review. The Panthers have a plethora of options at defensive tackle, and they’re so stacked at the position that they might be forced to release a talented player, as Joe Person of the Charlotte Observer writes. Kawann Short (who is engaged in extension talks), Star Lotulelei, and first-round pick Vernon Butler are guaranteed places on the roster, meaning Paul Soliai and Kyle Love will have to compete for the final tackle spot, unless Carolina opts to keep five interior defenders. The Panthers handed Soliai $3MM fully guaranteed less than five months ago, so it would be a surprise to see him get cut loose. Hakeem Nicks‘ one-year deal with the Saints is a minimum salary benefit contract and contains no guaranteed money, reports Nick Underhill of the Advocate. As such, Nicks is essentially joining New Orleans on nothing more than a tryout basis, and will seek to earn a role behind Brandin Cooks, Willie Snead, Michael Thomas, and Brandon Coleman. Nicks reportedly stayed in contact with Saints head coach Sean Payton after a workout earlier this year, texting Payton on a weekly basis and sending along workout videos. Former South Florida defensive back Jamie Byrd tried out for the Saints today, according to a source who spoke with Aaron Wilson of the Houston Chronicle (Twitter link). In his senior season with the Bulls, Byrd posted 80 tackles and finished second on the team with 11 tackles for loss, and said earlier this year that he had “no answers” for not being selected in the draft or being offered a UDFA deal. The Bears and receiver Alshon Jeffery didn’t agree to a multiyear contract by the July 15 deadline for franchise-tagged players, meaning they won’t be able to negotiate a new deal until the end of the season. Despite a report that the Bears aren’t keen on giving big money to Jeffery, general manager Ryan Pace is “optimistic” the two sides will eventually work something out (via Kevin Patra of NFL.com). Jeffery will first have to stay healthy in 2016, though, Pace said. Jeffery accomplished that from 2013-14, appearing in all 32 of the Bears’ games, but he missed six as a rookie and seven last year. The four-year, $50.2MM contract extension the Lions and cornerback Darius Slay agreed to Friday is a win for both sides, opines Kyle Meinke of MLive.com. In the 25-year-old Slay, the Lions finally have a shutdown corner, one who has rapidly improved since his rookie season – 2013 – thanks in part to his strong desire to get better, Meinke writes. Further, the Lions didn’t break the bank on Slay, whom Pro Football Focus (subscription required) ranked as the league’s second-best corner last season. For Slay, the deal provides financial security and pays him like a top seven corner, which is exactly the type of money he was seeking before signing the contract. The Seahawks remain on the lookout for quarterback help, GM John Schneider revealed Friday (per Curtis Crabtree of Pro Football Talk). “Yep, absolutely. And we do that with every position. We’ll have one, two, three guys like on standby.” Schneider also talked up undrafted rookie Trevone Boykin, the current favorite to serve as the No. 2 behind Russell Wilson. “Great athlete, tons of arm strength,” said Schneider, who believes Boykin would’ve been a third- to fifth-round pick if not for off-the-field trouble last season at TCU. Along with Boykin, Seattle has Jake Heaps, an undrafted free agent in 2015. Boykin and Heaps make up a less-than-ideal tandem from at least an experience standpoint, which would explain why the club tried to land Connor Shaw via waivers earlier this month. The top free agent signal-caller available is the recently released Nick Foles, though reports haven’t connected the Seahawks to him. The Falcons’ offseason signing of center Alex Mack is their biggest pickup since the drafting of receiver Julio Jones in 2011, contends Jeff Schultz of the Atlanta Journal-Constitution. Mack could singlehandedly turn the Falcons’ offensive line from a weakness to a strength, writes Schultz, who notes that Atlanta has struggled since it jettisoned now-retired center Todd McClure after the 2012 season. In regards to joining the Matt Ryan-led Falcons, Mack told Schultz, “It was enticing to come here knowing they had a quarterback.” The 30-year-old spent the first seven seasons of his career with the bottom-feeding Browns, whose quarterback play was consistently woeful. Mack held his own, though, making three Pro Bowl trips before securing a five-year, $47.5MM contract with the Falcons in free agency. Just over two months after working out free agent receiver Hakeem Nicks, the Saints have agreed to a one-year deal with the veteran, reports Adam Schefter of ESPN (Twitter link). Financial details are not yet available. The Saints will be the fourth organization for the 28-year-old Nicks, who has spent time with the Giants, Colts and Titans. The Giants have been Nicks’ employer for the lion’s share of his career. New York selected the ex-North Carolina Tar Heel 29th overall in 2009 and he ended up playing there until 2013 and again last season. 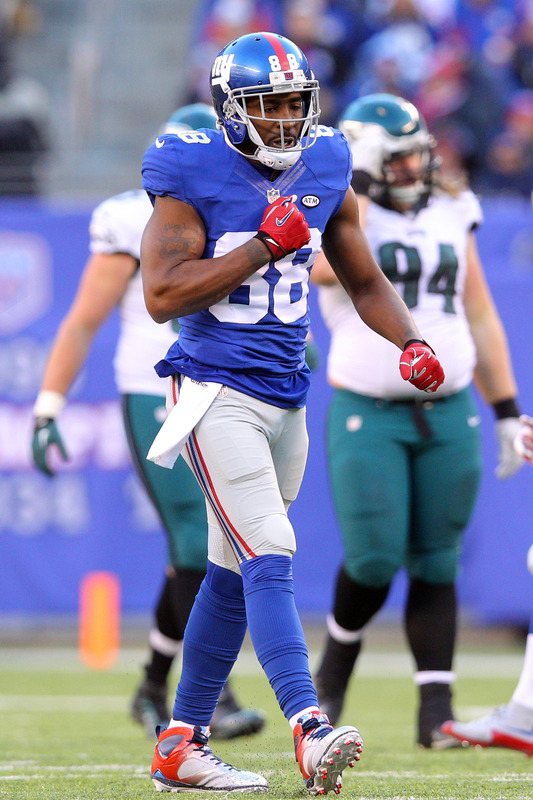 As a member of Big Blue, Nicks hauled in 318 catches and 27 touchdowns. None of those scores and just seven of those receptions came in 2015 for Nicks, who caught anywhere from 47 to 79 passes each season from 2009-13 and logged two 1,000-yard campaigns. In between his two stints with the Giants, Nicks was a Colt in 2014, when he picked up 38 receptions and four TDs, and then briefly a Titan – with whom he didn’t crack the roster. All told, the 6-foot-1, 208-pounder has 92 appearances (67 starts), 356 grabs, 14.3 yards per catch and 31 TDs on his stat sheet. For New Orleans, the addition of Nicks comes just one day after the team placed fellow wideout Vincent Brown on season-ending injured reserve. In the wake of that move, PFR’s Dallas Robinson listed Nicks as a logical target for the Saints. They agreed, apparently, and Nicks will now join a crowded receiving corps that includes Brandin Cooks, Willie Snead, second-round pick Michael Thomas, Brandon Coleman, Reggie Bell and Kyle Prater, as Roster Resource shows. The Dolphins agreed to terms with two members of their draft class today, signing third-round receiver Leonte Carroo and seventh-round tight end Thomas Duarte, as Wilson reports (Twitter link). Miami now only has third-round running back Kenyan Drake left to sign, as PFR’s Zach Links detailed when looking at unsigned 2016 draftees earlier today. The Lions waived offensive lineman Darius Johnson on Tuesday, as Michael Rothstein of ESPN.com writes. Dave Birkett of the Detroit Free Press adds (via Twitter) that Johnson was waived with an injury waiver designation. Johnson, a Middle Tennessee State product, signed with Detroit following the team’s rookie minicamp. The Chargers placed safety Matt Daniels on the injured reserve list with a leg injury, Eric Williams of ESPN.com tweets. Daniels appeared in only one game for San Diego last season. Former Michigan linebacker James Ross has been signed to fill Daniel’s void, a source tells Michael Gehlken of the San Diego Union-Tribune (Twitter link). After signing as an undrafted free agent out of UTSA, edge rusher Jason Neill was waived today by the Cowboys, according to Wilson (Twitter link). To replace Neil, Dallas signed fellow defensive end Zach Wood, tweets Wilson. The Panthers placed tight end Jake McGee on waivers with an injury designation last week, and after reverting to injured reserve, McGee has now been cut from IR with an injury settlement, per Wilson (Twitter link). The Bills have signed second-round linebacker Reggie Ragland, according to his agents at Vanguard Sports (on Twitter). Ragland was named the SEC Defensive Player of the Year after recording 97 tackles, 6.5 tackles for a loss, and six pass breakups. GM Doug Whaley has said that he expects to see Ragland in the starting lineup to begin the 2016 season. The Raiders announced that they have signed free agent wide receivers Robert Herron and Nathan Palmer. To make room, the Raiders have waived/injured wide receiver Andre Debose and waived quarterback Garrett Gilbert. Palmer auditioned for New Orleans last week alongside a handful of notable names, including Hakeem Nicks. Herron was originally selected by the Bucs in the sixth round of the 2014 NFL Draft. He played in eight games his rookie season, posting six receptions for 58 yards (9.7 avg.) and one touchdown. The Browns signed undrafted free agent wide receiver David Richards, Aaron Wilson of The Houston Chronicle tweets. The Arizona product first hooked on with Atlanta after the draft but was waived soon after. The Jets waived tight end Jerome Cunningham and signed running back Romar Morris, as Brian Costello of the New York Post tweets. The Buccaneers have placed safety Johnny Lowdermilk on the reserved-retired list, creating a second opening on the 90-man roster, Greg Auman of the Tampa Bay Times tweets. 2:49pm: Nathan Palmer is also amongst the wide receivers working out for New Orleans, as Adam Caplan of ESPN.com tweets. Palmer was waived by Chicago on Monday. 1:02pm: Along with Nicks, the Saints are also working out wide receivers Denarius Moore and Vincent Brown, Schefter tweets. 12:35pm: The Saints are working out a group of wide receivers today, including Hakeem Nicks, as Adam Schefter of ESPN.com tweets. This isn’t the first time that the Saints have looked at the veteran. New Orleans auditioned Nicks last September, just after he was released by Titans. However, he went on to sign with the Giants in an effort to recapture the glory of his salad days. In his second stint with Big Blue, Nicks didn’t exactly return to stardom as he caught seven passes for 54 yards across six games. Nicks, still only 28, spent the first five years of his career in New York with the Giants, enjoying the most productive stint of his career with the team. Posting consecutive seasons of 75+ receptions and 1,000+ receiving yards in 2010 and 2011, Nicks totaled 311 catches, 4,622 yards, and 27 TDs from 2009 to 2013. However, prior to the 2014 season, the former first-round pick signed a one-year deal with the Colts, and struggled to get much going with Andrew Luck and company, establishing new career-lows in receptions (38) and yards (405). TUESDAY, 4:09pm: In addition to Williams, veteran free agent Hakeem Nicks also worked out for the Bengals today, according to Adam Schefter of ESPN.com (Twitter link). Having lost two key receivers this offseason, Cincinnati appears to be surveying the market for potential depth, and the team will likely address the position in the draft as well. MONDAY, 4:20pm: The Bengals will work out wide receiver Mike Williams on Tuesday, as Jim Owczarski of The Enquirer tweets. 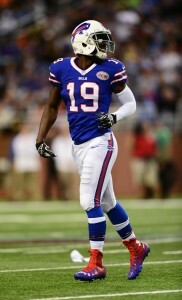 Williams, a Buffalo native, signed with the Bills prior to the 2014 season and was expected to bolster the team’s passing game after the departure of Steve Johnson. Instead, he compiled just 142 yards and one touchdowns on eight receptions in 2014. Williams was reportedly unhappy in Buffalo and, in December of that year, the Bills decided to cut ties with him. Aside from a workout with the Giants in October of 2015 and a workout for the Patriots in late March, we haven’t heard much about the former fourth-round pick in recent months. In other Bengals news, the team recently signed linebacker Karlos Dansby to a one-year, $2MM deal with another $250K available in incentives. For an early look at Dansby in his new Bengals jersey, head to our Instagram page and give us a follow. 3:08pm: The Giants have officially signed Nicks, placing Cruz on injured reserve, the team announced today in a press release. 8:31am: After auditioning for a handful of potential suitors this year, veteran wide receiver Hakeem Nicks has finally found a new team — his old team. According to Mike Garafolo of FOX Sports (via Twitter), with Victor Cruz heading to the injured reserve list, the Giants are re-signing Nicks. Nicks, 27, spent the first five years of his career in New York with the Giants, enjoying the most productive stint of his career with the team. Posting consecutive seasons of 75+ receptions and 1,000+ receiving yards in 2010 and 2011, Nicks totaled 311 catches, 4,622 yards, and 27 TDs from 2009 to 2013. However, prior to the 2014 season, the former first-round pick signed a one-year deal with the Colts, and struggled to get much going with Andrew Luck and company, establishing new career-lows in receptions (38) and yards (405). Nicks signed with another AFC South team, the Titans, earlier this year, but was cut by Tennessee a week before the regular season got underway. Since becoming a free agent in September, Nicks has worked out for several teams, including the Rams, Ravens, Patriots, Cowboys, and Saints. The North Carolina product also had an audition with the Giants, and will now return to his old team in the hopes of providing some veteran depth and perhaps replacing a little of the potential production lost when Cruz went down with a season-ending calf injury. The Rams are bringing in a few veteran free agent receivers today, according to Adam Caplan of ESPN.com, who reports (via Twitter) that the club is taking a look at Wes Welker, Hakeem Nicks, and Vincent Brown. While all three wideouts have enjoyed some NFL success, Welker’s résumé is the most extensive — the former Patriot and Bronco has racked up 890 career receptions to go along with 9,822 receiving yards. However, health concerns – including an extensive concussion history – have made teams shy away from Welker following his two-year stint in Denver, despite the fact that he wants to continue his career. As for Nicks and Brown, both players performed well below their career benchmarks in 2014, and so far neither receiver has gotten an extended look in 2015, despite the fact that age shouldn’t be a concern, like it may be with Welker. Nicks and Brown are 27 and 26, respectively, as opposed to Welker’s 34. While the Rams won’t necessarily sign any of the receivers they’re auditioning, the team may be contemplating adding some veteran depth at the position for Nick Foles‘ benefit. Outside of Tavon Austin, who has caught 28 balls and four touchdowns this season, no St. Louis wide receiver has more than 15 receptions or a single TD so far in 2015. A day after losing Steve Smith Sr. for the season, the Ravens will work out a group of free-agent wide receivers that includes Hakeem Nicks, sources tell ESPN’s Ed Werder. The wide receiver has been making the workout rounds as he searches for a new team in 2015 and his most recent stop was with the Patriots. Nicks, who spent his first five years with the Giants, posting multiple 1,000-yard seasons in New York, caught just 38 balls for 405 yards and four touchdowns last year in Indianapolis. He found a new home in free agency when he signed with the Titans earlier in the year, but Tennessee opted to keep just four wideouts on the roster to start the season, cutting Nicks in September. The veteran wideout has als0 worked out for the Saints, Cowboys, and Giants. Here’s more from the AFC.. Even after acquiring Vernon Davis, Broncos GM John Elway says he’s open to more deals, as Troy Renck of The Denver Post tweets. “We will always listen. We are always trying to get better,” Elway said. Peter King of TheMMQB.com believes that the NFL has to investigate a report that Andrew Luck has been playing through broken ribs. If that investigation reveals that the Colts didn’t include a rib fracture on their injury report, the league should levy a significant fine on the franchise, in King’s view. Ravens coach John Harbaugh said that defensive end Brent Urban is healthy and will return to practice soon, Jeff Zrebiec of The Baltimore Sun tweets. Urban is currently on the IR-DTR list. Titans coach Ken Whisenhunt says that he has not considered making any staff coaching changes in-season, as Terry McCormick of TitanInsider.com tweets.